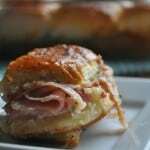 My recipe for Reuben Donuts was featured on Nellie Bellie where I contribute easy and creative recipes. Coming over from Nellie Bellie? Thanks so much! The windows were down, it was Saturday and the weekend had sucked us in. My friend and I were driving home from working out together. “So what are you planning to do today,” she asked. “Well, I’m going to go home and work on some recipes. 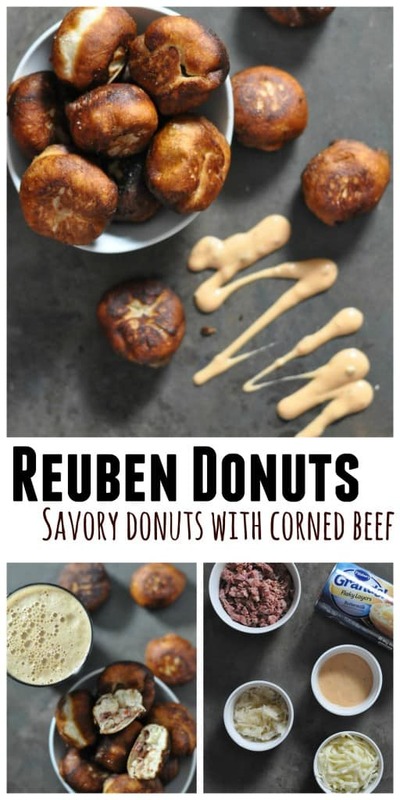 I get these weird ideas for recipes in my head and today I’m going to make Reuben Donuts. 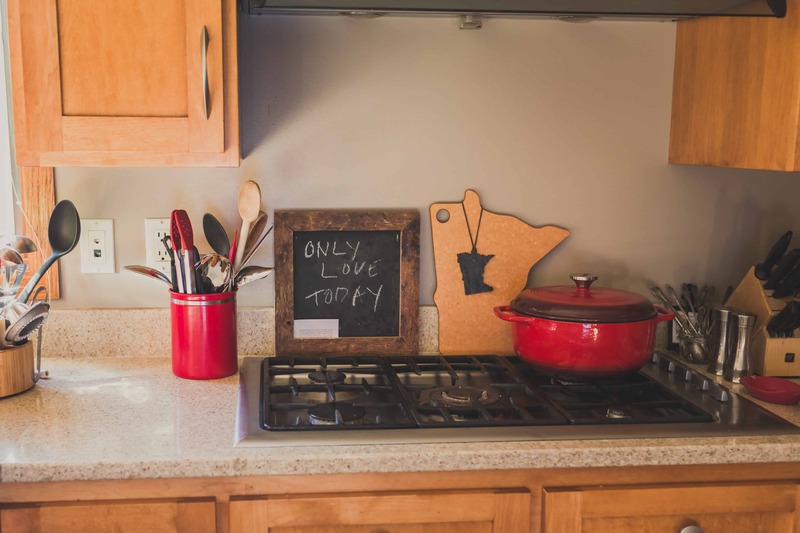 I’m going to stuff biscuit dough with corned beef, sauerkraut, cheese and dressing and then deep fry it.” Trying to watch the road, she locked eyes with me and said with excitement, “A savory donut?! ?” Exactly. And so my savory Reuben donuts were born. 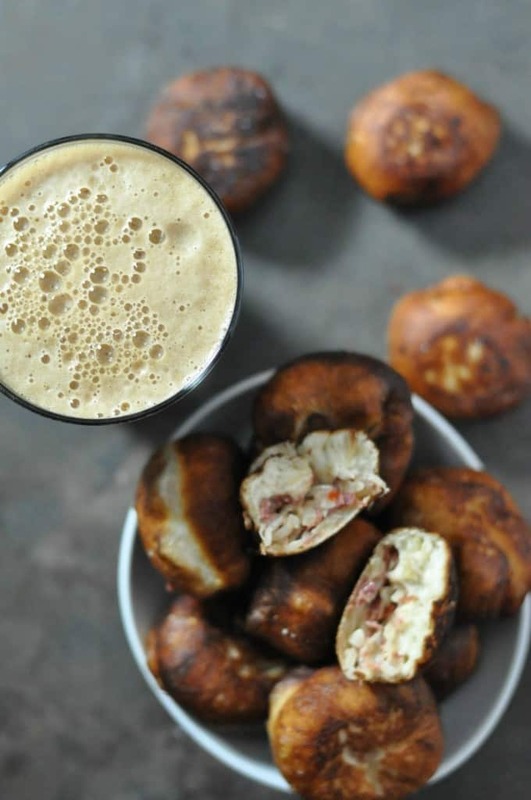 Reuben Donuts are the perfect appetizer to make for gatherings with friends, football night, St. Patrick’s Day parties and a perfect use for your cooked corned beef. 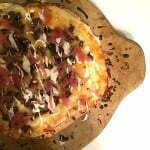 The ingredients are simple: cooked corned beef, sauerkraut, shredded swiss, Thousand Island dressing and refrigerated biscuit dough. 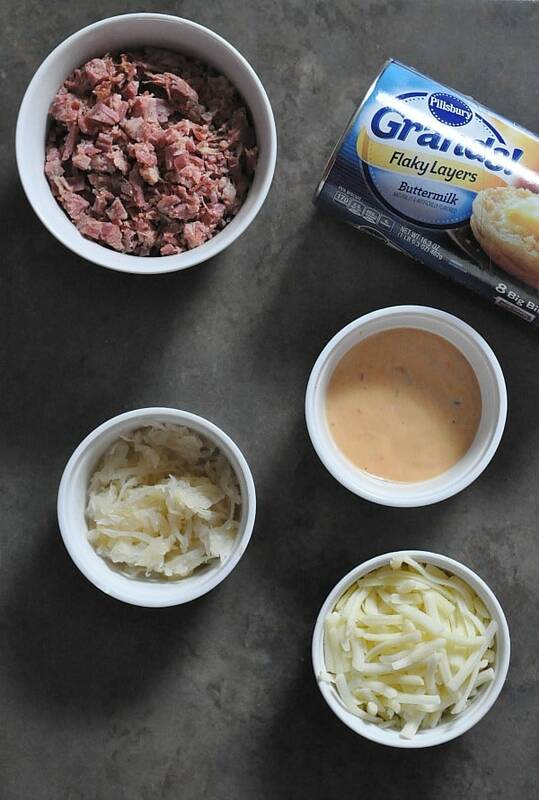 First mix the corned beef, sauerkraut, swiss cheese and Thousand Island Dressing. 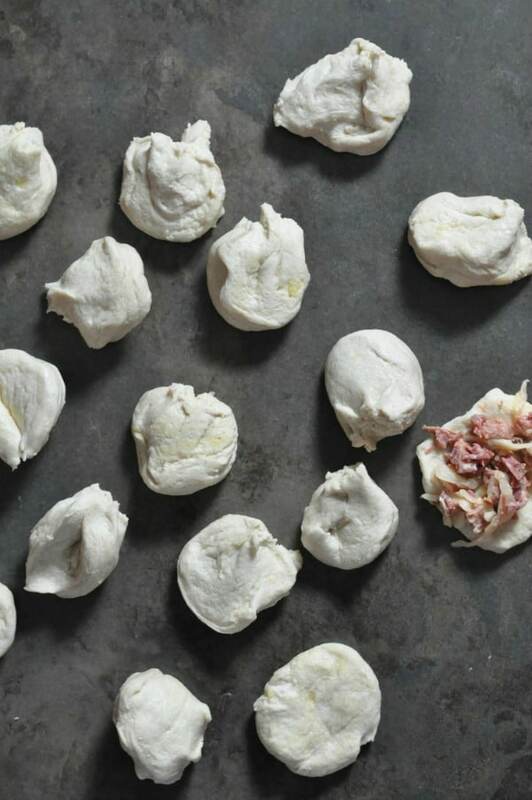 Divide the dough into sixteen pieces. 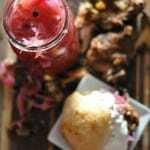 Fill the biscuits with a heaping Tablespoon of corned beef mixture. Get all your biscuits filled and tucked up tight. 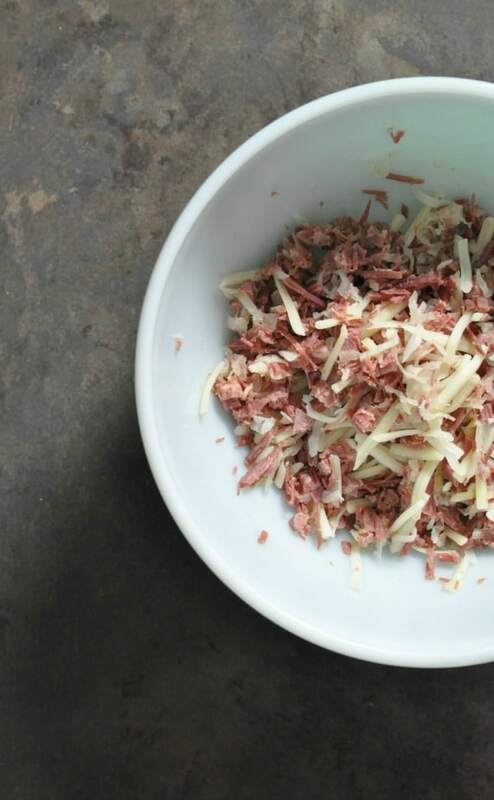 You don’t want to lose any of that corned beef mixture in the pan. 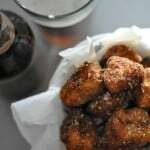 Fry over medium-high heat until the donut looks brown on all sides. I suggest doing a tester one so you can check that the dough is cooked inside. This isn’t something to do when your attention is needed elsewhere. These donuts need your devoted attention. 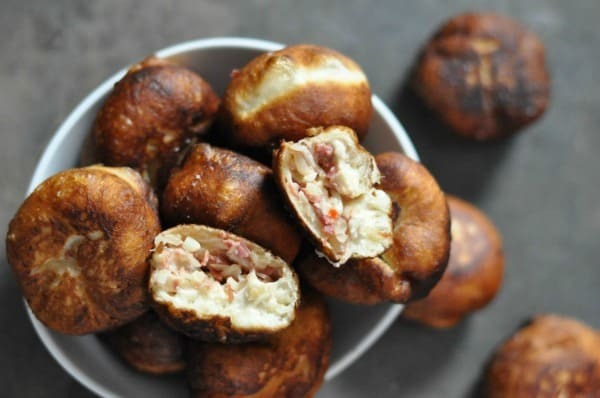 Once you figure out how long your Reuben donuts need to cook, you can fry in bigger batches. Once cooked, they have almost a soft pretzel color. Split in half and you see all that beautiful Reuben filling. 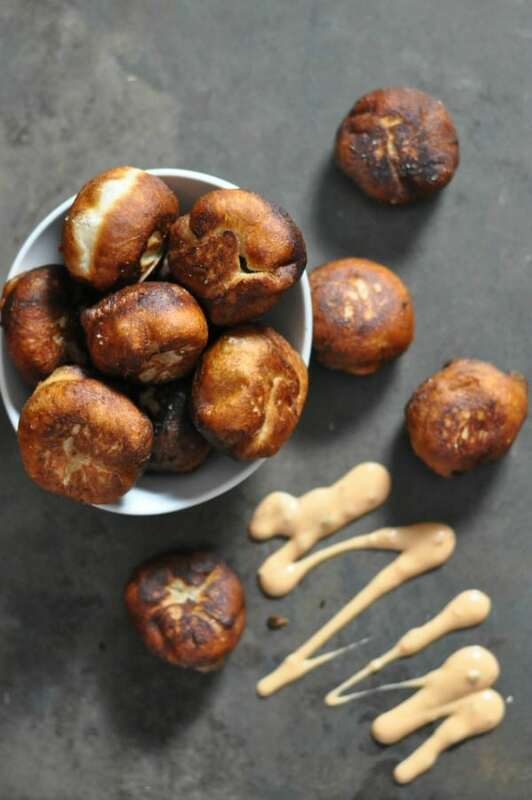 When they are still hot, salt and serve with Thousand Island dressing. And a Stout. Yes, it has to be a Stout. 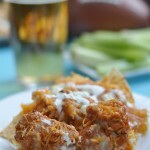 Combine corned beef, cheese, sauerkraut and Thousand Island dressing. Divide the eight biscuits in half so you have a total of 16 pieces. Tuck in all ends of the Reuben donuts ball. Heat the oil over medium high heat. 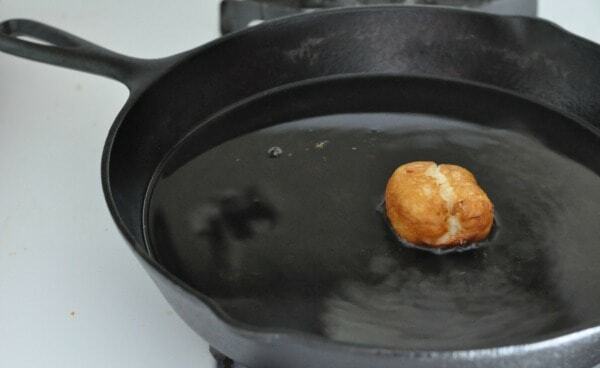 Once the oil is heated, put in one donut ball. Fry donut until medium brown. 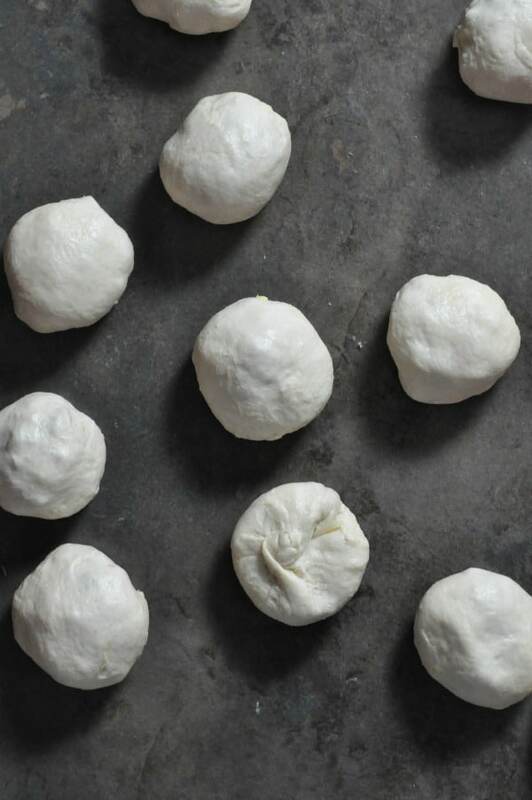 Remove from pan and check to see if dough is cooked inside. 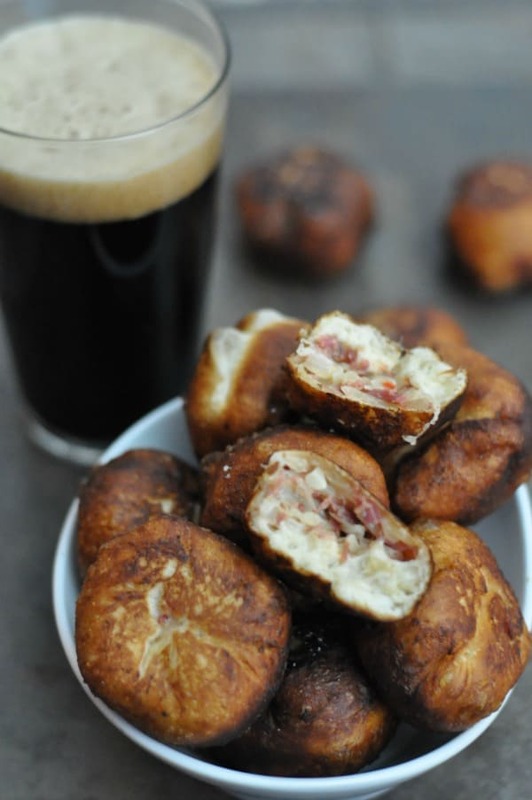 Then fry remaining Reuben donuts in batches. 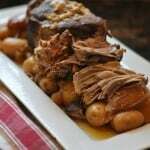 Remove from pan, salt and serve with Thousand Island dressing. This entry was posted in Appetizers, Holiday and tagged appetizer, Corned Beef, Donuts, Doughnuts, Reuben, Sauerkraut, Swiss Cheese by Alice Seuffert. Bookmark the permalink.